Dr. John Ahern was born and raised in Park Ridge, Illinois, a suburb of Chicago. He graduated from Creighton University in Omaha, Nebraska with his Bachelors in Science and Biology in 1988. He also received his Doctor of Dental Surgery degree in 1992. Dr. Ahern has practiced in the south Denver area since August of 1992. Purchasing his dental practice in January of 1994, he began creating an office environment that exudes joy and creates perfectly healthy smiles. 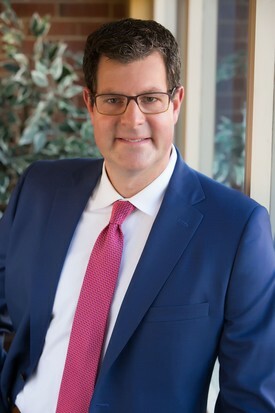 With a focus on more than fifty hours of challenging Continuing Education per year, Dr. Ahern relentlessly strives to improve his clinical abilities and patient treatment options. He thoroughly examines each patient and then provides a comprehensive treatment plan that is individualized according to the desires, priorities and interests of each patient. Interpersonal relationships and communication are key concepts for Dr. Ahern. Dr. John Ahern has resided in Parker, CO since 1993 with his family. He and his wife, Jan, place great importance on family life, as they have six children and a wonderful daughter-in-law. Dr. Ahern's wife helps manage RidgeGate Dental and together, they have created not only a loving family who enjoys skiing, traveling, running, biking and relaxing together; but, they have also fashioned a loving office environment. Dr. Shawna M. Schope has been with RidgeGate Dental since 2006. She graduated from The University of Iowa College of Dentistry in Iowa City, IA. Since receiving her doctorate in dental surgery, she has been practicing dentistry for 20 years in the Denver area. Dr. Schope continues to maintain her commitment to the dental world by attending continuing education classes and by staying current with the modern technological advances in the dental world. Dr. Schope dedicates her full attention, gentle touch, and her excellent clinical skills to each patient making sure their smile is one to be proud of. 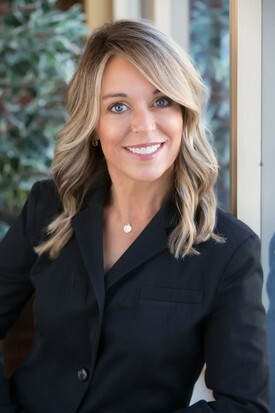 Dr. Schope resides in Littleton, CO with her husband, Andy and her two children. While she is not practicing dentistry, she loves to ski, run, and travel with her family.